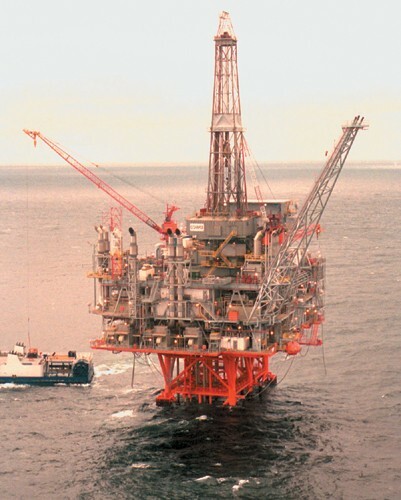 The Petronius Platform - a deepwater oil rig - considers the world's largest free-standing structure, as well as the biggest compliant oil platform. It is located at southeast from New Orleans, roughly 130 miles into the Gulf of Mexico and measures nearly twice the height of the Empire State Building (2001 ft height, 43,000 tons weight). Petronius is anchored to the seafloor on gigantic footers with two tower sections - the foundation and supporting construction. The tower has 21 separate well slots, though at the moment only 17 are being used--10 to pump out oil and gas, another seven to inject up to 72,000 barrels of water into the oilfield every day to keep it pressurized.